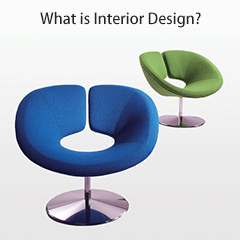 Interior design is the art and science of understanding people's behavior to create functional spaces within a building. Decoration is the furnishing or adorning of a space with fashionable or beautiful things. 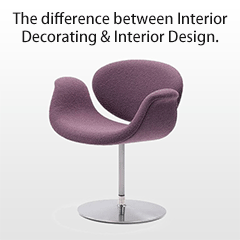 In short, interior designers may decorate, but decorators do not design. Interior designers apply creative and technical solutions within a structure that are functional, attractive and beneficial to the occupants' quality of life and culture. Hiring a designer can help you avoid costly mistakes that will not only help you save money but can increase the value of your home. 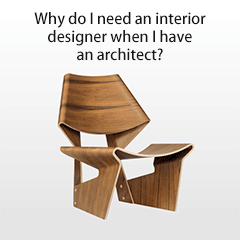 In new construction or repurposing, you need an Interior Designer when the floorplan of your house is being drafted. A designer will be able to build a stronger bridge between you and your architect or contractor early on and can head off design misses in your overall plan. This is crucial in managing time and money. Also designers are trained to think about things you may overlook. 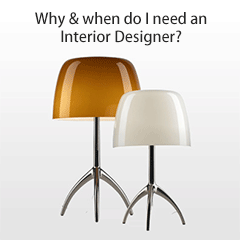 It’s so important that the lighting and furnishing needs are addressed before construction. For instance, If your desk is in the middle of the office, you want to make sure you have the proper placement for floor outlets.